I hate long drives. It probably dates back to when I graduated college and drove cross country from California to Washington, DC. I did it in 4 days. I had shipped a few boxes ahead, and this was before satellite radio. I had only one CD in my dash and for much of the drive in the middle of the country there wasn’t much in the way of radio. It never occurred to me to stop at one of the 1750 Walmarts along the way to buy somethng else to listen to. So I had the Soundtrack to Reservoir Dogs. I haven’t listened to it in 22 years, but I can still recite all of the movie clips. I fly whenever I can, and my wife and I share a car. I can Uber to the airport for the price of parking even on most short trips. And it’s only a handful of times each month when I need a car, where I’m going somewhere on my own without my wife, and she’s already going somewhere on her own. Over the weekend the car started acting up. It seems like a computer problem, reporting every single possible error on the dash. And the car didn’t want to shift automatically, either. Assuming it’s not a drivetrain issue the car is a whopping 200 miles out of warranty though I’ll certainly be arguing about that. I shared the dilemna on twitter, thanks to credit cards I have an abundance of riches of roadside assistance options. What do I use? 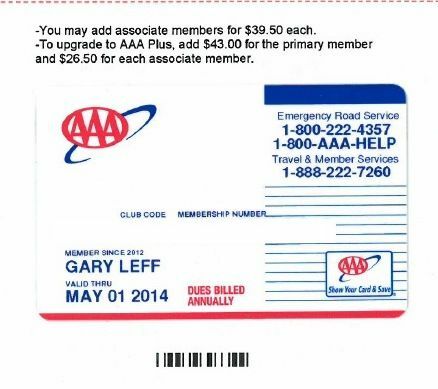 I have a AAA membership but really only so I can be legimate when I use AAA hotel rates. Those are often equal to prepaid member rates (or better) while still cancellable. But AAA only gives you 7 miles of towing. For an oil change or brakes an independent repair shop makes sense but I decided for a possible computer issue, and one where I’d at least be arguing it should be covered by warranty, I wanted to get the car to the dealership. But that’s 12.11 miles away. The Chase Sapphire Reserve Card will give you $50 credit four times a year. That wasn’t going to cut it. There are reports by the way that the benefit from Chase is more generous than stated. Yikes. Sorry to hear. In my personal experience needing to be towed ~20 miles to my preferred shop, Chase was better deal, entire distance covered. Obvi depends on tow rates, but hard-pressed to believe AUS > $$$ than SFO. Joe Brancatelli observed that American Express Platinum gives 10 miles of towing four times each year which I’ve covered before. While there was a debate on Twitter over whether to use auto insurance towing coverage (whether doing so could mitigate future claims-free discounts), I didn’t see the point of going down that route given the credit card benefits I had. And by the way it’s a roadside assistance benefit and that can also cover things like changing a tire, jump starting a battery, delivering gas or helping you get into a locked vehicle. I rang up American Express and told the voice prompt I wanted ‘roadside assistance’ which was recognized as an option. That transferred me to someone with their provider who took my card information, my car information, and my location. They calculated that my towing distance would be 2.11 miles over what’s covered. They bill excess miles at $3 per mile. So they charged my card $6.33 (and didn’t require me to pay with the Platinum card either). I was told it would take 70 minutes for the tow driver to arrive. After I hung up I received a text with tracking information. The driver called me 7 minutes prior to scheduled arrival. He said he was 15 minutes away. He had flagged in his system that he already arrived. It took another 35 minutes, he blamed traffic and an accident. In the meantime Amex called me to check up on the progress. The wait was longer than I’d like, but American Express is outsourcing to a service which is then contracting with local tow companies. They picked the first one on their list that answered and accepted the job. Regardless my point in sharing this is just to remind that many credit cards come with a roadside assistance benefit. You’ve probably forgotten about it (if you ever knew). So in case you need something like this, it’s worth flagging. The AAA tow benefit varies by state. For me, the free tow is just 3 miles (but additional miles are pretty cheap, similar to what you got with Chase I think). Wow, I’ve never seen roadside assistance benefits discussed as a credit card benefit. Somebody needs to do a chart. The odds are good that the average person will need some “roadside” help (dead battery, flat tire) every couple years or so. I have AAA Premiere and have had it for years – 200 miles of free towing. I rarely need to use it but the few times I have makes it more than worth it to me. Anyone who drives a car should consider at least AAA Plus. It is only around $35 more a year than the Classic but one tow medium distance tow will save you a bundle. You can call AAA for a tow for someone else’s car if you are a passenger when it breaks down. For those who are not familiar with AAA, in my state they offer some DMV services and have a very short line compared to the local DMV office. Does this benefit work for people who did not use the card as the payment method for the car? I have a motorcycle (that I bought used with cash) and sometimes I had issue starting it, next time I can ask someone to tow it to the shop if this is doable. I’m guessing your alternator is dead. Don’t forget a follow up post on what was actually wrong with the car. Don’t leave is hanging! My two cents, sounds like battery/alternator/electrical. Newer cars act really funky when electrical problems. @Thanh – I believe most credit card roadside assistance coverage excludes motorcycles. I had to have my bike towed and tried using my CSR and Citi Prestige roadside coverage, but was told it didn’t apply. Even AAA has separate coverage (with a $30 additional fee to Plus/Premier plan) for motorcycles. I’ve used my Amex roadside assistance four times in the last three years. The Gold cards have it in addition to the Plats. It’s especially a great benefit for those of us poor folks who drive older cars that are more prone to breakdown. Turns out to be the computer. The car has ~ 50,300 miles on it. Dealership handled it under warranty. I used Amex plat towing a little over a week ago. My fiancé was driving from Dallas to Houston and started having issues at about the halfway point (aka middle of nowhere). Amex was happy to cover the tow even though she’s not (yet legally) family and I wasn’t with her at the time. The issue was it was a Friday night and no shops were open. Ended up towing about 70 miles to a shop that said they could take the car, and I was responsible for ~$170 in overage charges. We were flying out of IAH early the next morning, so we wanted some piece of mind in knowing the car could get worked on while we were out of town. I didn’t call CSR for a price comparison, but I’m happy with how things worked out. Even though I had to pay quite a bit, it was helpful having the rep research and arrange a tow in an area where not much was available and we didn’t have any local knowledge. I used Amex Plat on our son’s car. Tow was for about 12 miles as well, and the bill came to about $6. Worked great. Only issue we had was that the operator tried to get an extra few bucks “copay” (or something). I called Amex while on the way to the shop and they called the operator, so it was all handled by the time was got there. Very nice indeed. My parents have AAA Plus RV with 100 mile towing, I had no idea. Their car died recently, we called AAA to get it towed to a local mechanic…until I found out about the 100 mile towing. The 16 mile tow to their actual mechanic was estimated at $89, AAA benefit was fantastic! If they’d have had the AMEX Plat that would have been different value.